Join us for an invigorating morning run, walk, or spin around Washington, DC. There are two courses mapped for you. One is approximately 3.8 miles and another one is approximately 5.6 miles. 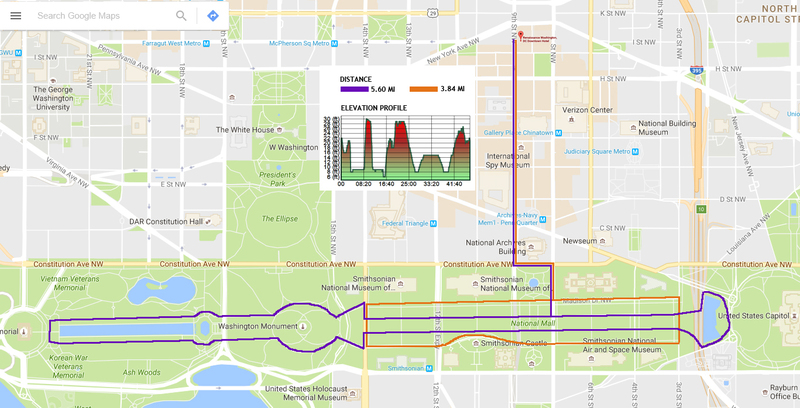 The mapped courses will take you through downtown DC and around the National Mall. Along the way, you will see many National Museums, Monuments, and the US Capitol. Alternative routes are available for individuals choosing to go a shorter or longer distance than 3.8 miles. AUCD staff will be available as escorts for all abilities and paces.